It is no secret that adoption is a huge commitment. In fact, it is simply a matter of common sense that adoption will change your entire life. It is not something to be entered into lightly. Sometimes, it is not something to be entered into at all. 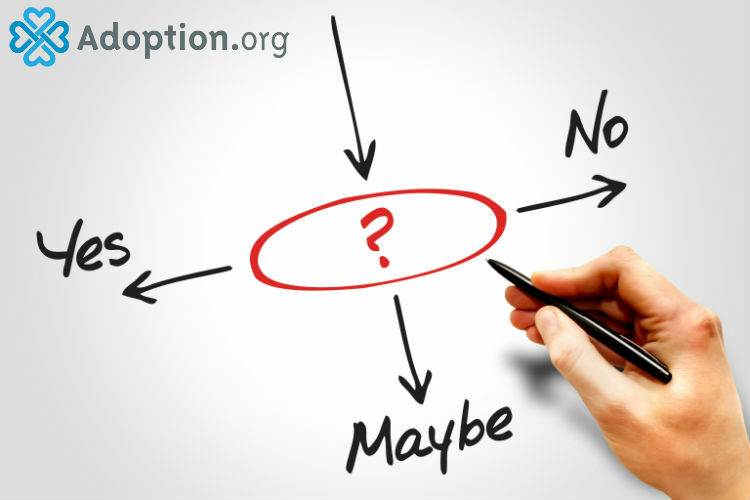 There are many factors that determine if adoption might be right for you. Sometimes the answer is simply no and sometimes it may just not be right yet. When my husband and I were asked to adopt the first time, we were certain the answer was yes. We were financially stable, ready for another child, and had been talking about adoption for years. When we were asked to adopt our second child, it was not so simple. Due to the circumstances surrounding the second adoption, it would cost way more than before. We also were not planning to have another child at that point. While we did end up choosing to adopt, we took a few weeks to decide if adoption was right for us. There are a few key factors to consider when considering adoption. Financial stability is definitely a huge consideration when it comes to adoption. You do not have to be rich to adopt. However, if you are in a lot of debt or barely paying the bills, adoption may not be right for right now. A child’s expenses and the expenses of adoption can be overwhelming. Relational health is also incredibly important. Never adopt a child to help “save” a marriage or relationship. While children are a blessing, the added responsibility and attention children require will more likely place more strain on fragile relationships. It is also not fair to the child to adopt for the wrong reasons. If applicable, it is also important to involve your children in your decision to adopt. While their hesitance does not necessarily mean you shouldn’t adopt, you may have some fears or concerns you need to address before proceeding. Adoption readiness also requires education into life with a child who was adopted. It is important to know the impact this will have on a child and how to respond. It is also important to understand the intricacies of open and closed adoption, and what might be best for different situations you will experience. You will also need to research and understand what kind of adoption you are looking for such as international or domestic. Are you open to transracial adoption? Boy or girl? Special needs? Going into your adoption journey confident in your decision to adopt will have a significant impact on both you and your child. Take the time to make sure you are ready as the journey is arduous, but completely life-changing and worth the time it takes to be ready.